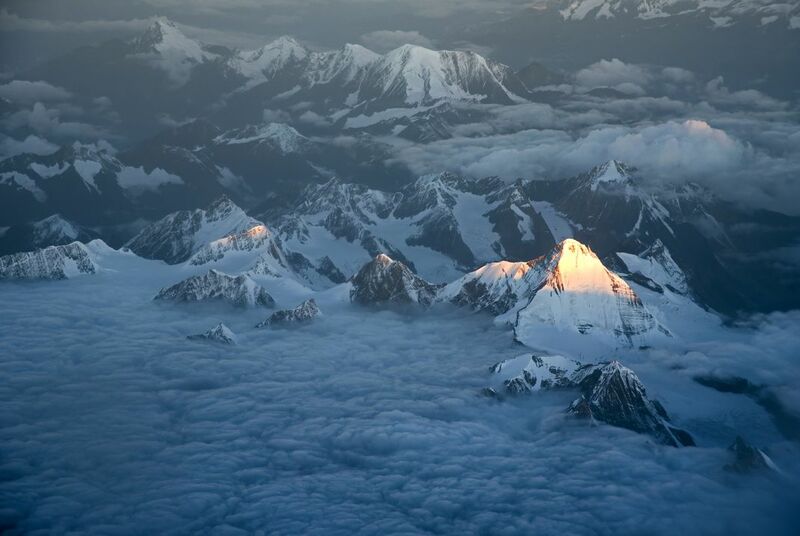 Sun drop on Great Himalaya's snow clad peak. Great Himalayas, also called Higher Himalayas or Great Himalaya Range, highest and northern most section of the Himalayan mountain ranges. It extends southeastward across northern Pakistan, northern India, and Nepal before trending eastward across Sikkim state (India) and Bhutan and finally turning northeastward across northern Arunachal Pradesh state (India). Date Uploaded: Nov. 5, 2016, 1:04 p.m.